The Elstead Lighting Crystal Skye 6 Light Ceiling Light Features Triangular Crystal Prisms That Rest Inside Chrome Details And Stand Ready To Reflect Light In A Hundred Different Ways. 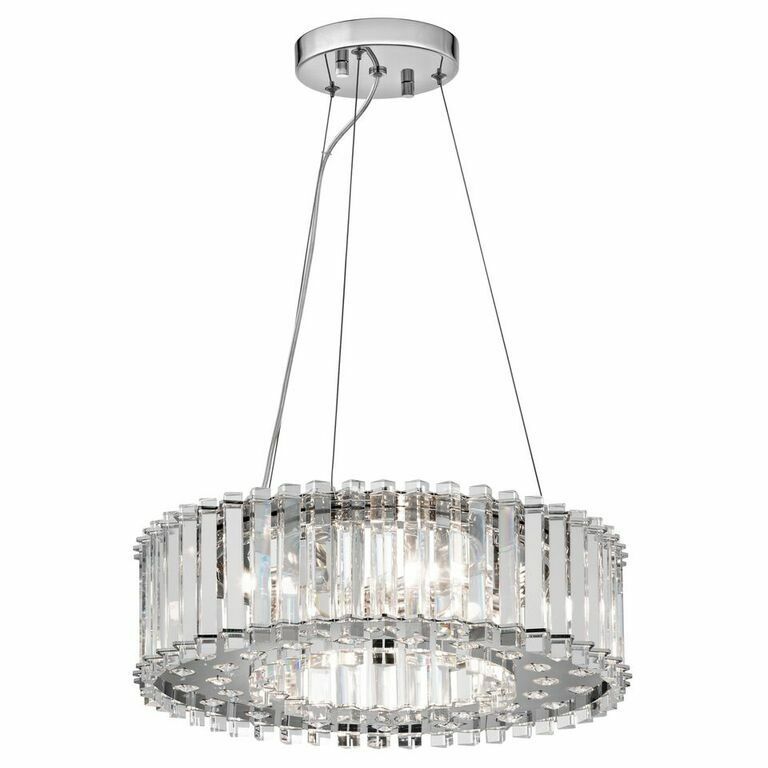 The Crystal Skye 6 Light Crystal Pendant From Kichler Lighting Has Rounded Crystals On The Bottom To Reflect The Inner Light. The Crystal Skye Is IP44 Rated, Suitable For Bathroom Use.